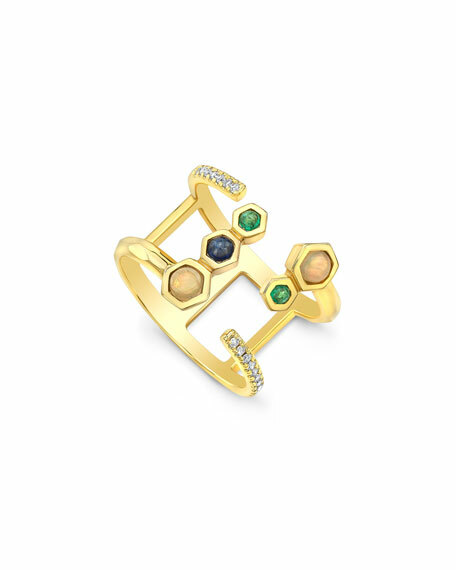 Ron Hami multicolor open front ring. Multicolor stones in hexagon settings. Round opals, blue sapphire, and green emeralds. Curved white diamond pavé details. For in-store inquiries, use sku #2573454.